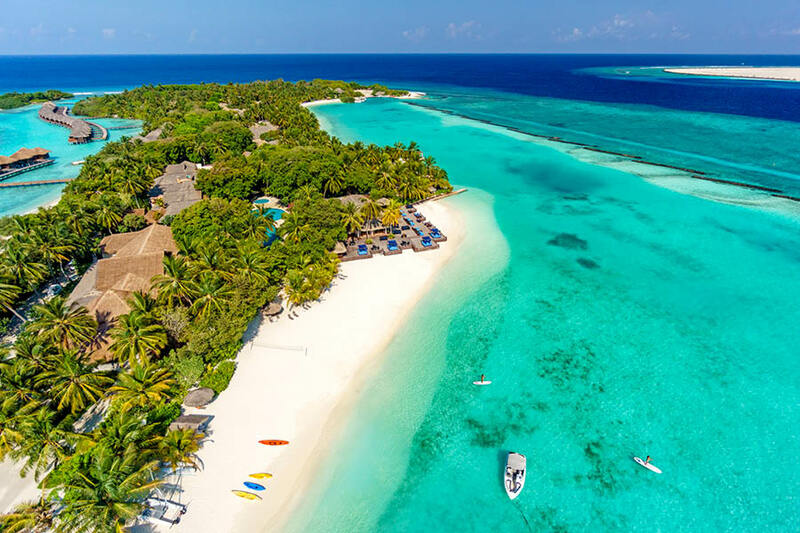 The luxurious Sheraton Maldives Full Moon Resort & Spa boasts 156 recently refurbished guest rooms and 20 Ocean Pool Villas spread over the 1 kilometre long island. The resort has all the facilities you would expect from a 5* luxury island, including a choice of 7 dinning options and bars. 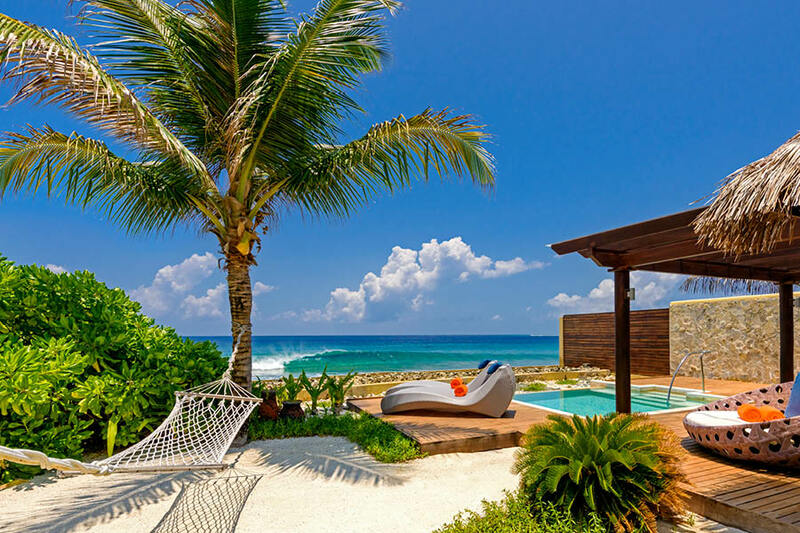 Immerse yourself in a tropical wonderland on this private island! 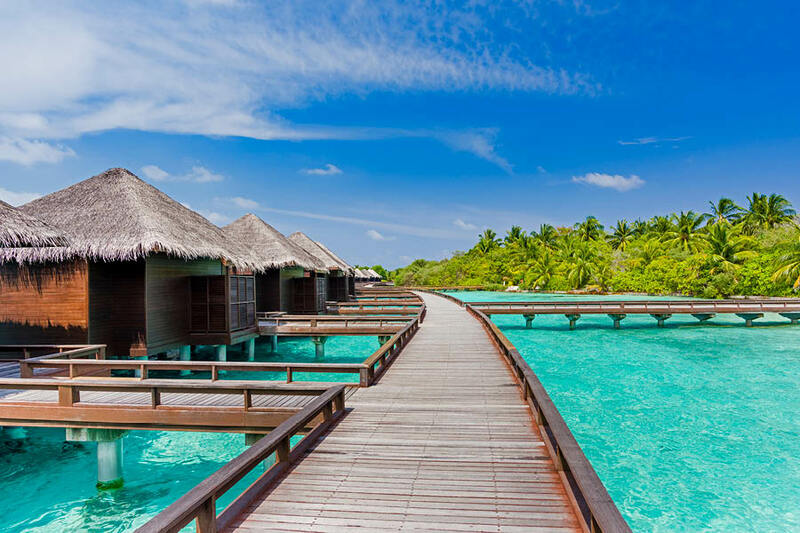 Find yourself surrounded by palm fringed sandy beaches and crystal waters and look forward to days of golden sunshine and balmy nights with an escape to the Sheraton Maldives Full Moon Resort & Spa. 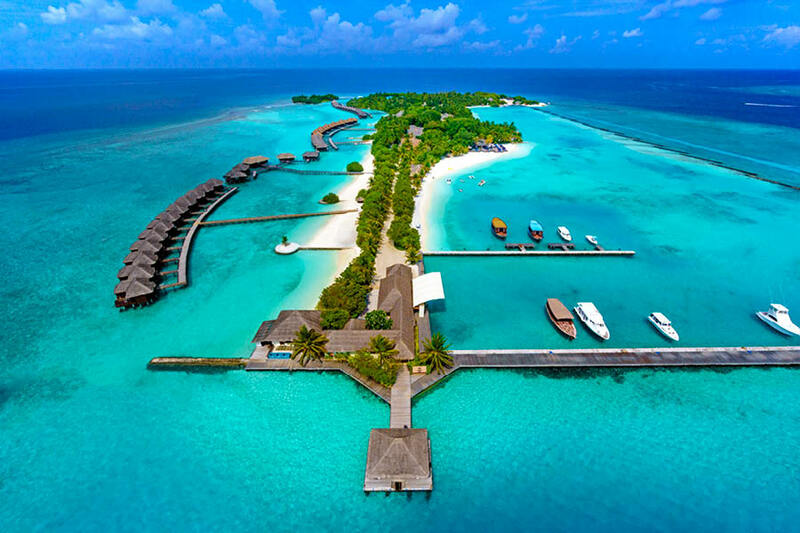 Experience your own little slice of heaven at the Sheraton Maldives Full Moon Resort & Spa. 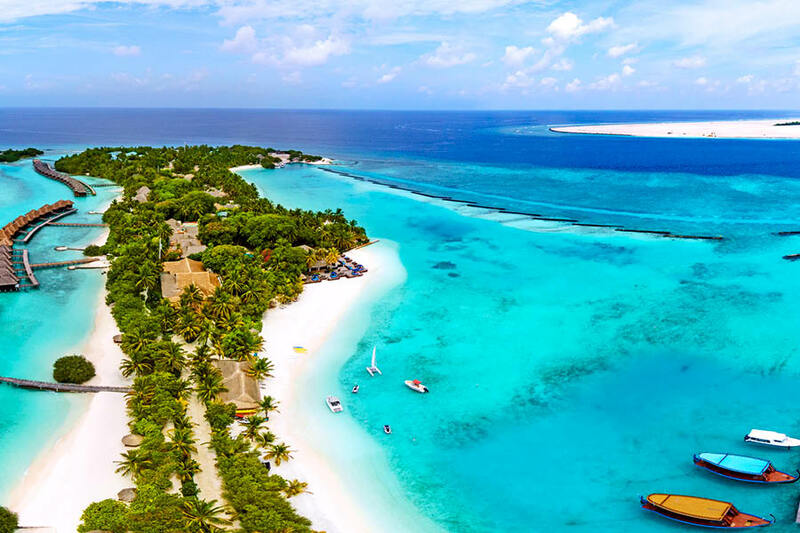 This stunning secluded island is located just 15 minutes from Malé International Airport and can be reached by private boat. 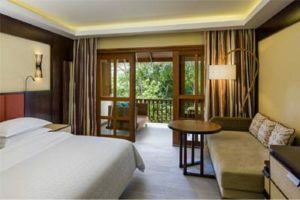 Contemporary furnishings and timber features compliment the island surrounds, and the luxurious standard of the resort is continued throughout each of the 156 guest rooms and 20 Ocean Pool Villas. Guest facilities include an impressive freshwater swimming pool framed by waterfalls and children’s pool. Numerous sun lounges offer the perfect place to dry off in the sunshine and the decadent Shine Spa provides the perfect after-sun escape with full-service treatments. 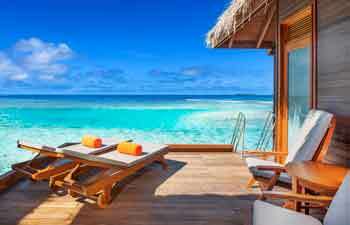 Enjoy unlimited activities and culinary delights at this outstanding resort. Fitness fanatics need not upset their daily workout routine—work out in the fitness centre or challenge friends to a game of tennis. Kids can make friends in the kid’s club and families can spend the day on the water with sports ranging from snorkelling to wake boarding. You’ll be spoilt for choice with 7 restaurants and lounge bars to choose from. Enjoy casual buffet dining at ‘Feast’, intimate fine dining at ‘Sea Salt’, or even Thai delights at ‘Baan Thai’. Sip cocktails while gazing out over the turquoise ocean at the ‘Anchorage Bar’, or feast on exotic hot and cold refreshments at the Asian-inspired ‘T-For Tea House’ by the freshwater pool! 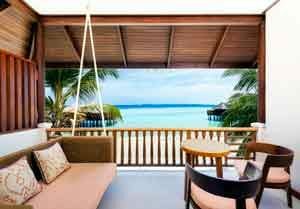 Settle into the stylish outdoor furniture on your private balcony or terrace and take in the unobstructed sea views from your Beachfront Deluxe Room. 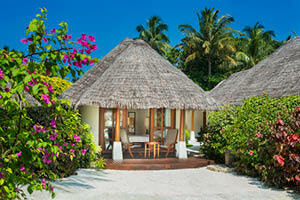 With easy access to Indian Ocean this is the perfect room to make the most of the sunshine in the incredible Maldives. Beachfront Deluxe Rooms feature timber blinds, pretty tiles floors, individually controlled air-conditioning and ceiling fans and a private bathroom with a shower and separate vanity. All rooms are complete with a 40” plasma flat screen TV, luxurious king and day bed, family room, safe, tea/coffee making facilities and more. This room is 52m² and fits up to 2 adults & 1 child. 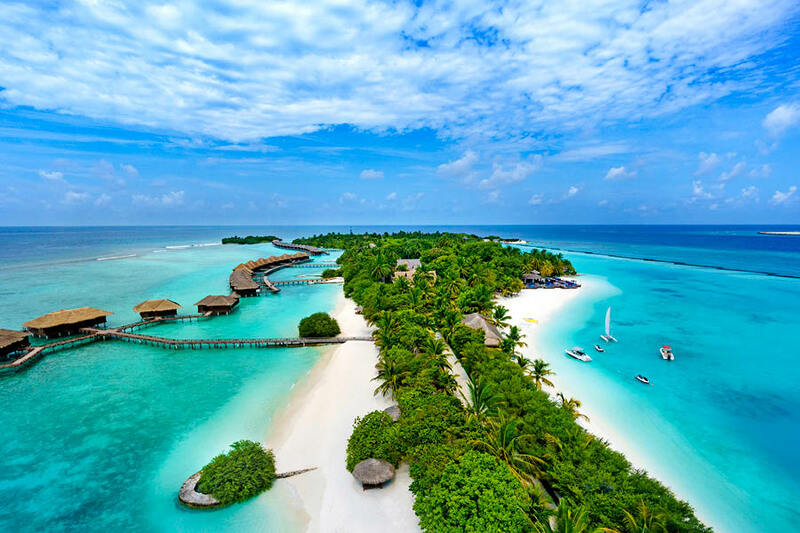 Arrive in Malé International Airport and travel just 50 metres to reach the boat pick up point for your transfer to the Sheraton Maldives Full Moon Resort on Furanafushi island. The Sheraton has four boats and will pick you up any time of the day or night. Once on the island, a golf buggy will meet you and take you to your room! 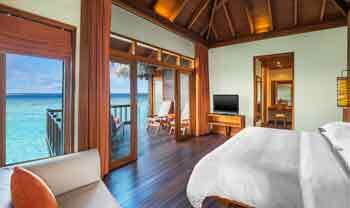 Unwinding, feasting, and getting active are three main attractions at the Sheraton Maldives Full Moon Resort & Spa. 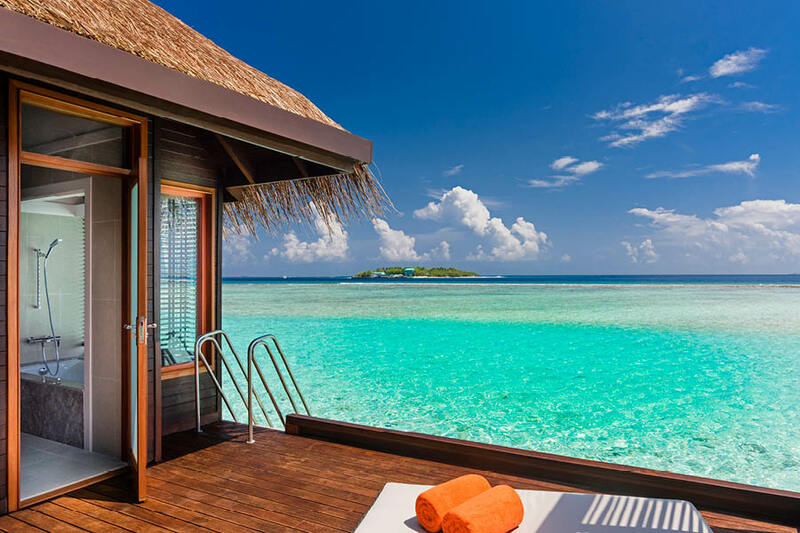 The indulgent Shine Day Spa is located on its own island and features oceanfront treatment rooms. A kid’s club caters for children from 4-12 years old and there is even a separate kids pool at the resort! Snorkel off the beach or try out water skiing, knee boarding, banana boats, wind surfing, canoeing, stand-up paddle boarding, and more! Once you’ve worked up an appetite, head to any of the 7 dining venues and be sure to try out the resort’s newest air-conditioned addition—the T-For Tea House by the freshwater pool! I had a fantastic time on this resort. The staff were caring and did their best to make this a very special and, indeed, personalised experience for me. The club facilities and staff are first class. My time at Full Moon was all too short, but while I was there it was akin to living in an enchanted dream!